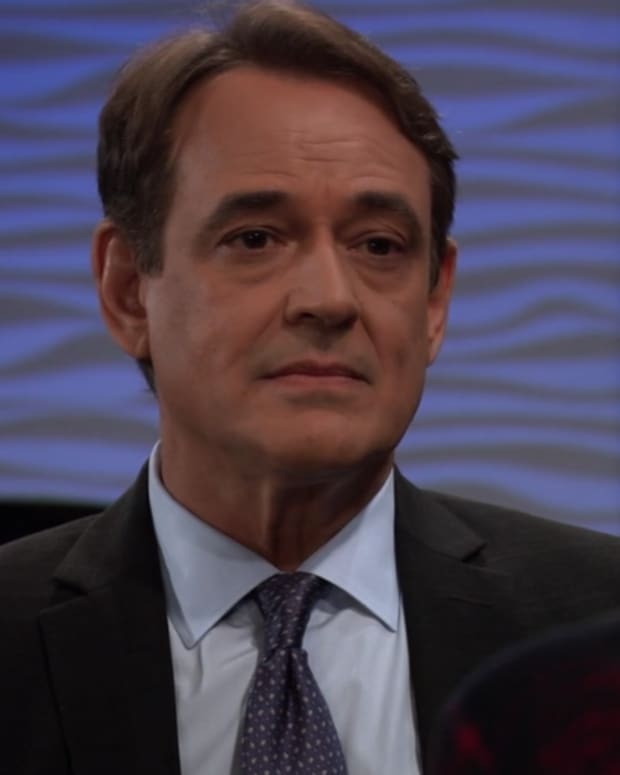 Griffin tells Peter he ran a DNA test confirming he&apos;s Henrik Faison. Peter&apos;s upset that Griffin violated his privacy. Griffin rages about Jason being held in the Russian clinic and all the bad things that happened there. Peter claims he saved Jason&apos;s life and Faison would have come after both of them if he&apos;d known the truth. Griffin feels Peter should turn himself in, but Peter refuses. 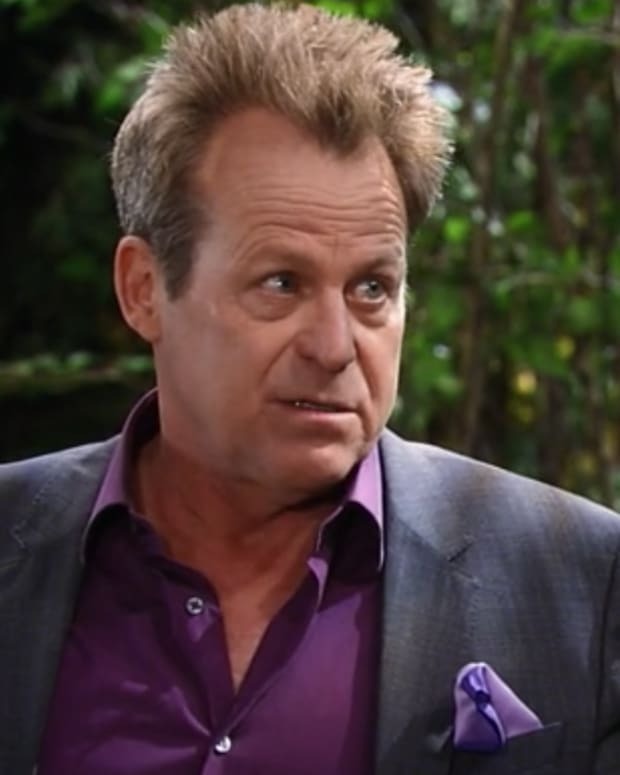 Griffin asks why he came to Port Charles. Peter says he was making sure both Drew and Jason were okay. Peter says no one can know who he is because they&apos;ll assume he&apos;s like his father. Peter says he hates everything Faison stood for. He claims he&apos;s different from his father and building a different life. Liz checks in on Franco, who claims he&apos;s doing everything to fix his mistakes. Liz is not happy when he tells her he hasn&apos;t even seen Kevin yet. Maxie heads to the PCPD for a medal ceremony for Nathan, which is officiated by Jordan and Ned. After the ceremony, Jordan and Ned take time to offer Maxie a shoulder to lean on. Maxie sits at Nathan&apos;s desk, where Chase finds her. Chase offers his condolences. Maxie tells him that Nathan cared about people, so Chase needs to be kind and generous to do right by his desk. Nina hires Curtis to look into Peter&apos;s past. She explains how Peter is getting closer to Maxie, and Maxie is vulnerable. She feels Peter is crossing lines and doesn&apos;t want to have a skeleton from his past pop out and hurt her family. Anna explains to Andre she&apos;s worried that Jason will find Henrik first and take him out. She&apos;s afraid she will never get to know her son. 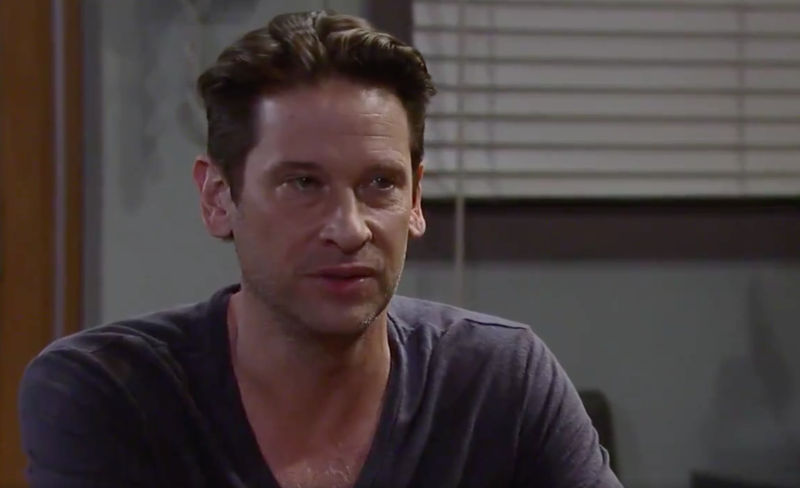 Andre points out that Jason could be right about Henrik preparing to take Faison&apos;s place. Anna still wants to find him first to know if there is any good in him. Finn runs into Anna, who mentions her conversation with Alexis. She says it&apos;s been sorted out. Jason questions Finn about the night Faison died. Finn doesn&apos;t remember anyone but the nurse, Jason, and Anna around his bedside. Jason asks about the belongings. Finn says they were put in a bag and he has no idea where they are now. Kevin runs into Franco and wants to talk. Franco says he knows he needs to find out what happened all those years ago, but he doesn&apos;t want to. Kevin wants to start with the panic attack in Harvey&apos;s office. Franco explains what happened. He doesn&apos;t understand why he can&apos;t remember that night as a child, but remembers all the other terrible things he&apos;s done. Kevin suggests hypnotherapy which has proven effective. Franco doesn&apos;t want to, but Kevin says he needs to be serious for it to work. Jason runs into Liz and tells her he&apos;s trying to find Faison&apos;s personal belongings. Liz sends a text to someone who would know. Liz tells Jason that Franco has moved out, assuming the news will make Jason happy. Jason doesn&apos;t really care because his feelings for Franco won&apos;t change either way. Liz says Franco&apos;s looking into his past. She doesn&apos;t understand Jason&apos;s feelings since Jake loves Franco and that&apos;s what matters. Liz mentions that she heard Sam declare her love for Jason. Jason says Sam told Drew the truth, and is now on a trip of self-discovery. Liz gets a text that Faison&apos;s belongings were given to Anna. Maxie interrupts Griffin and Peter&apos;s conversation. Once Griffin leaves, she tells Peter about the medal ceremony and meeting Chase. Peter&apos;s proud of her progress. Kevin says Franco needs to do the work, otherwise he&apos;ll never get away from where he is right now. Franco decides he needs to know what happened, no matter what.